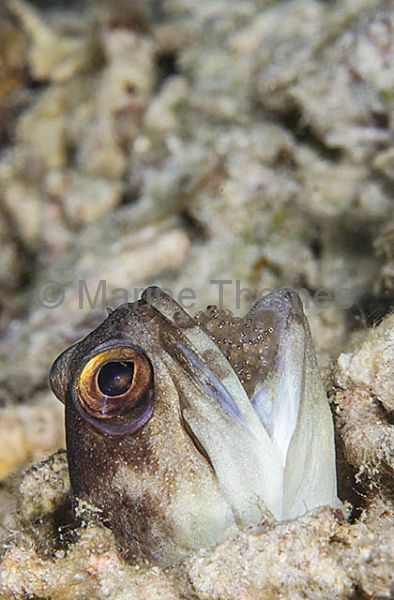 Yellowhead Jawfish (Opistognathus aurifrons) Male incubating eggs in its mouth. 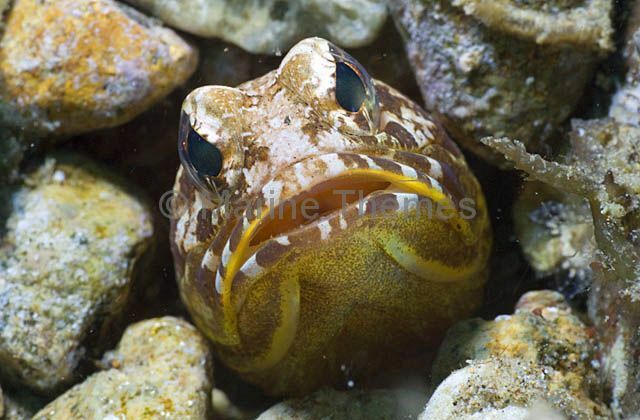 Gold-specs Jawfish (Opistognathus sp.) 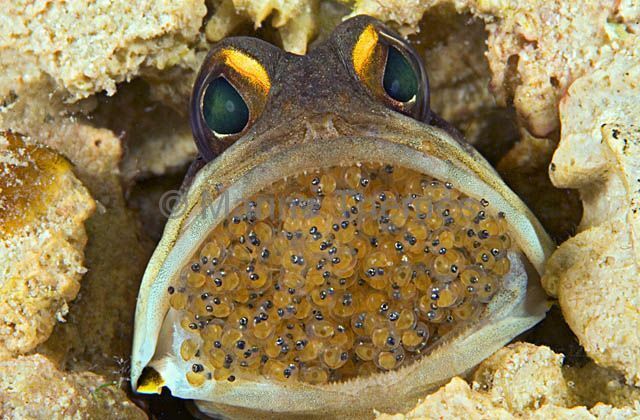 holding a mouth full of eggs at the entrance to it's burrow. 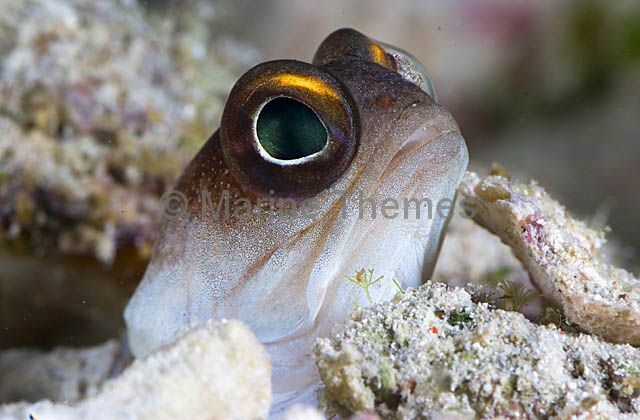 Gold-specs Jawfish (Opistognathus sp.) 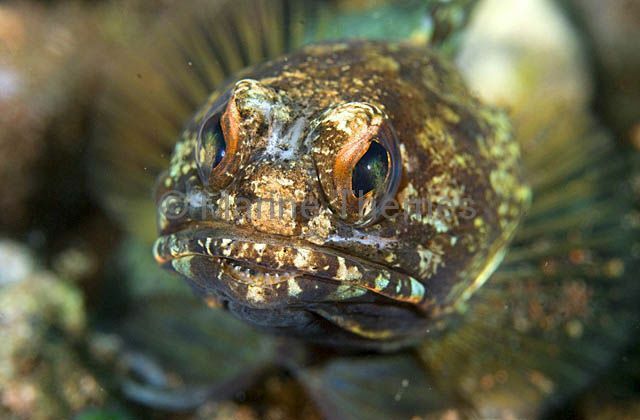 fighting over territory. 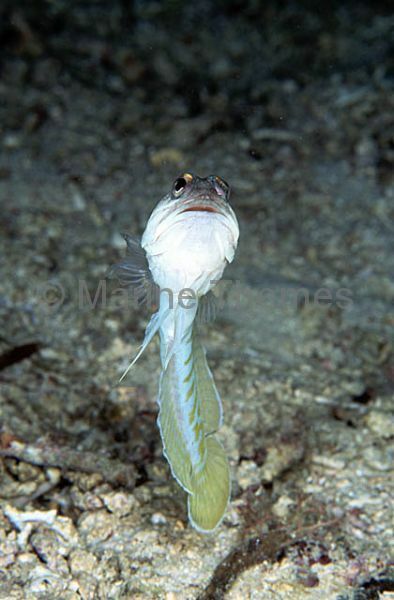 Gold-specs Jawfish (Opistognathus sp.) 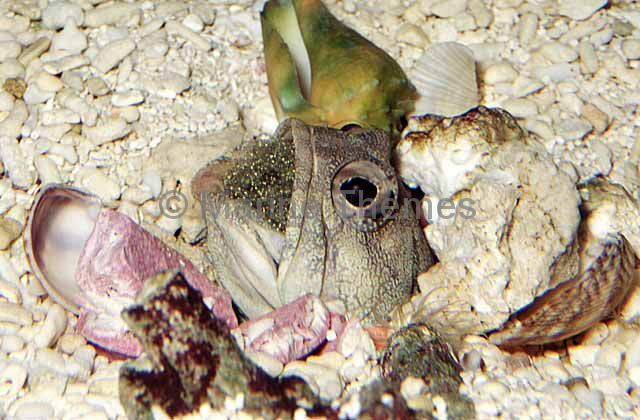 peering from the entrance of it's burrow in coral rubble. 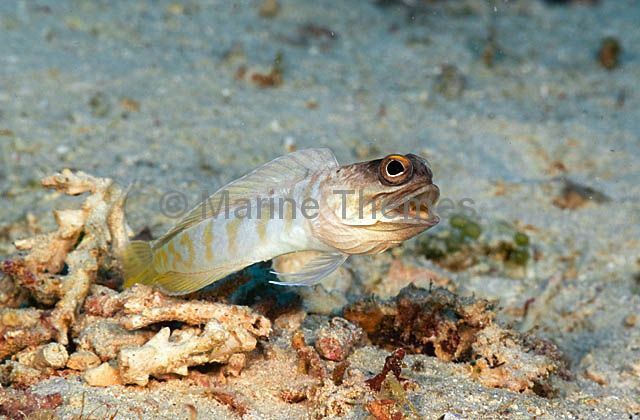 Gold-specs Jawfish (Opistognathus sp.) 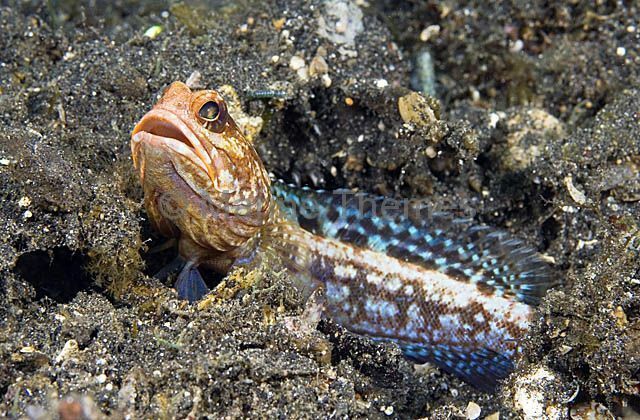 emerging from it's burrow in the sea bed. 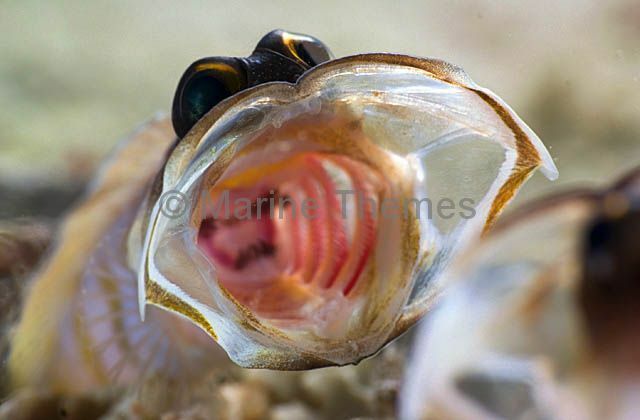 Gold-specs Jawfish (Opistognathus sp.) 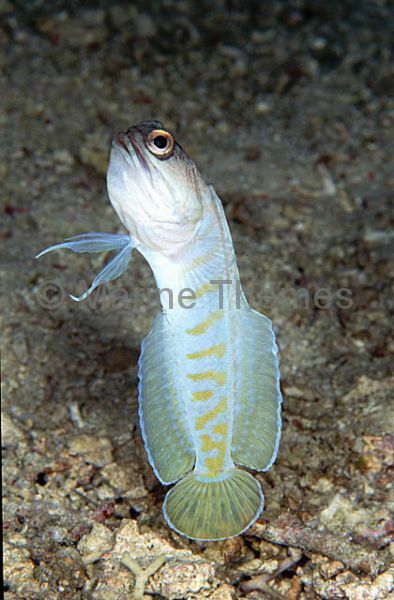 or Yellowbarred Jawfish (Opistognathus sp.) 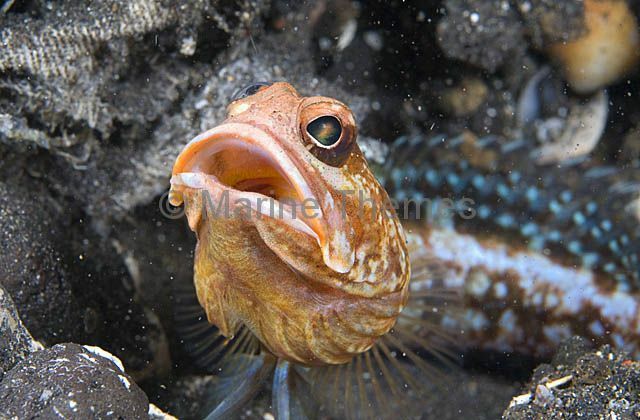 holding a batch of it's eggs in it's mouth. 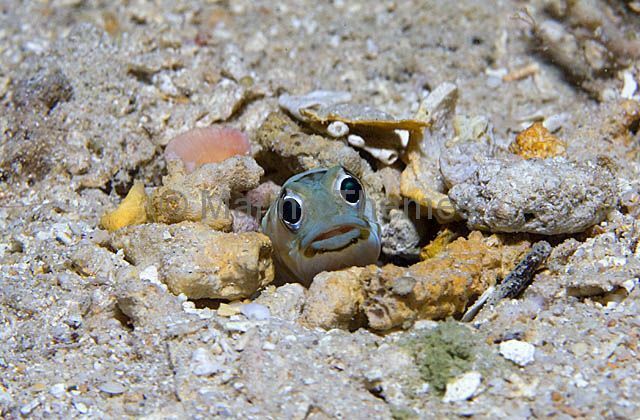 Harlequin Jawfish (Stalix histrio) keeping watch outside it's burrow. 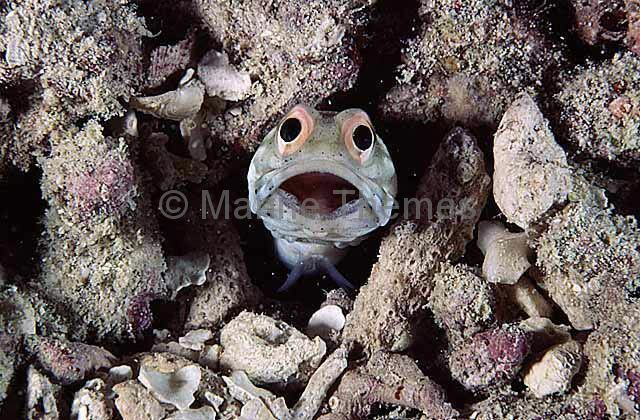 Harlequin Jawfish (Stalix histrio) sitting at the entrance of it's burrow. 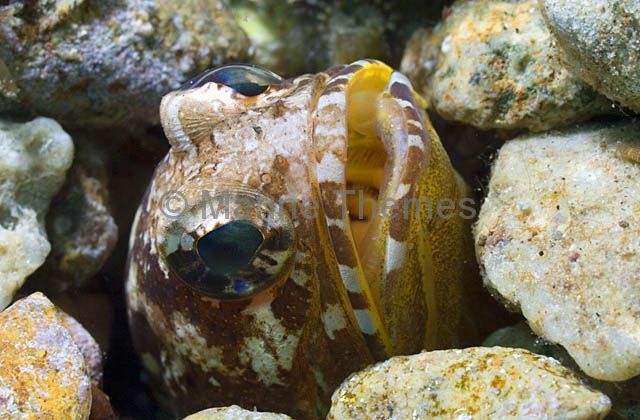 Harlequin Jawfish (Stalix histrio) peering from the entrance of it's burrown in coral reef rubble. 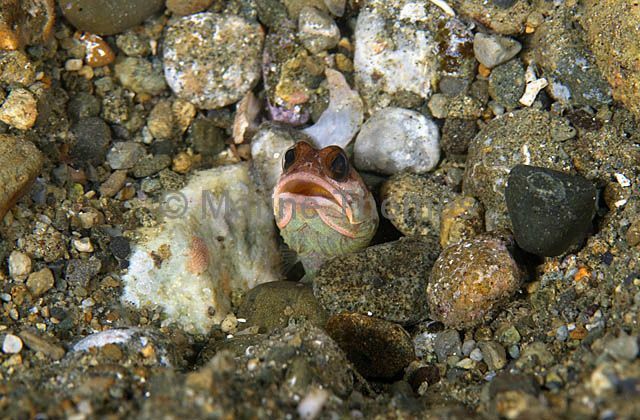 Harlequin Jawfish (Stalix histrio) emerging from it's burrow. 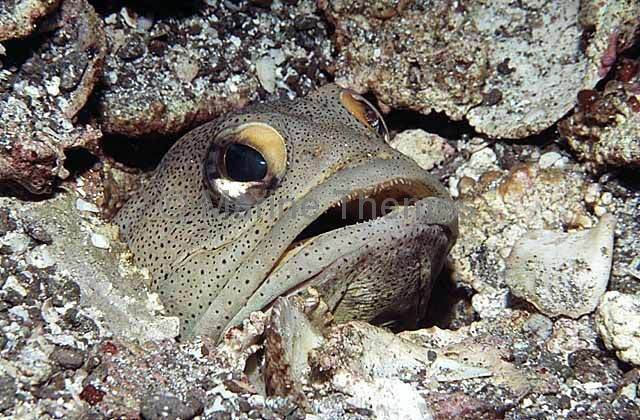 Jawfish (Opistognathus sp.) 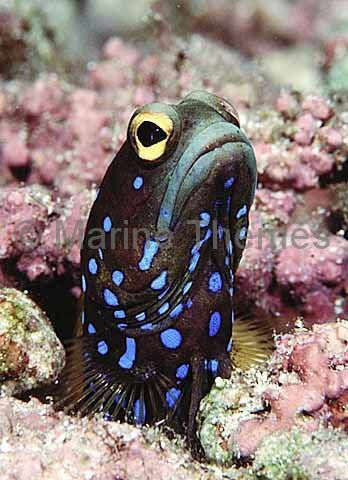 hovering above burrow. 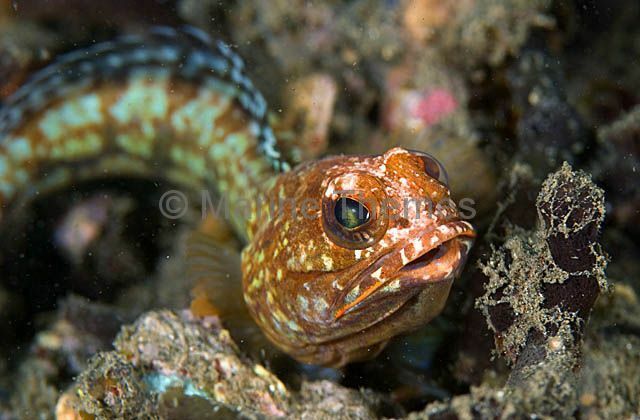 Jawfish (Opistognathus sp.) 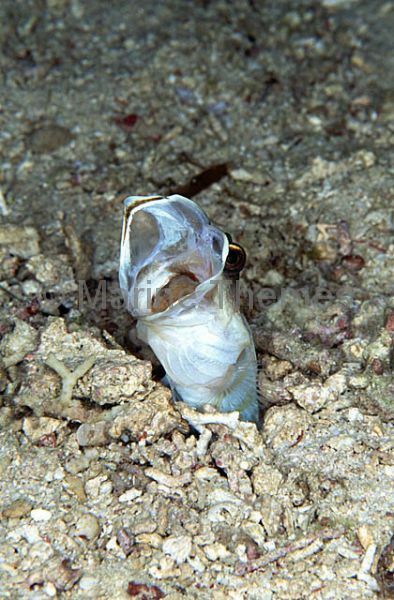 in burrow yawning to oxygenate eggs protected and incubated in mouth.